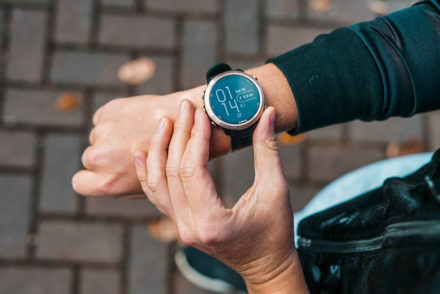 Iv’e come to realise that every Ironman is hard, no matter how hard you train, whatever the conditions… 2.4 miles of swimming, 112 miles of biking, and a marathon will always be incredibly challenging, physically and mentally. 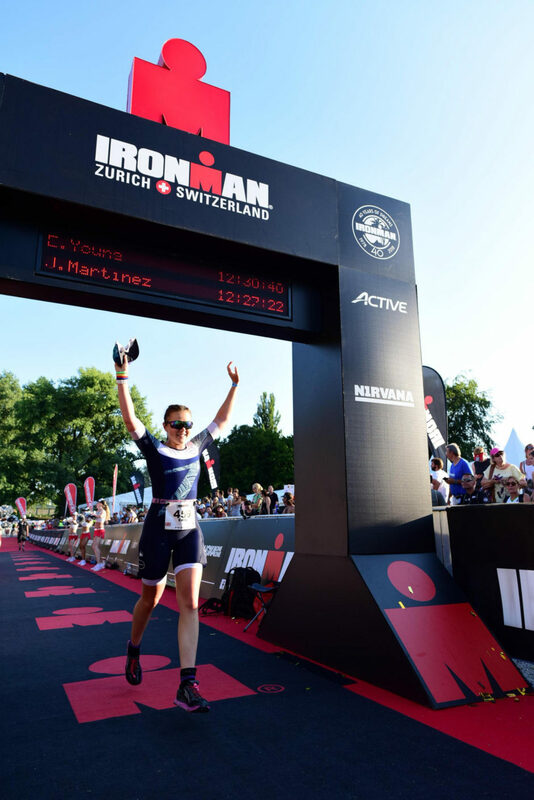 I could start by saying that Ironman Zurich in this years conditions was the toughest race I’ve done – but I’m not sure how fair that would be with it being so fresh in my memory (still sporting a chaffed body, DOMS, and digestion issues! ), but it was really rather tough. 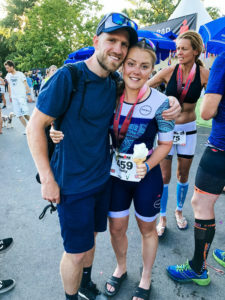 For the first time in 4 years it ended up being a none-wetsuit swim – I’m definitely not one of those fish type humans that would be smug at this news, but it didn’t cause me too much anxiety as I have done a none-wetsuit Ironman in the past, and it didn’t kill me! Lake Zurich is absolutely beautiful which really does make the traumatic Ironman swim much easier… almost enjoyable. It was a rolling start and a simple course to navigate (though I do regret not actually looking at the route, as usual!). It was all going swimmingly until I took a strong punch to the side of the head about 20 minutes from the finish. This knocked my goggles, my confidence and also provided me with a banging headache for the bike… but I survived!! You would assume that a none-wetsuit would have made my transitions a little speedier. You would think. 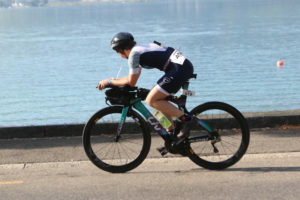 The beginning of the bike course was amazing… 18 miles of flat and fast roads hugging the beautiful lake, I was feeling very happy for this first hour! I knew the bike had some hills, or at least a hill known as ‘Heartbreak Hill’, which I expected wouldn’t be pleasant. I did not expect worse hills, longer hills, and I can’t say it was the nicest surprise!! I was really starting to get hot by the time the hilly section of the first loop came, it was definitely tough! Heartbreak Hill turned out to be fantastic with the most amazing support, I felt like I was doing the Tour De France with a crowd of people either side of me cheering me on! I didn’t see my support crew until the second lap, which made Heartbreak Hill even better! I was very ready to see the end of the bike but slightly concerned about running in the heat. it was 35degrees in the shade! I had been excited about the run this year… confident I was going to be shaving 30minutes off my last efforts at Bolton. HAHAHA. On a positive, I felt like I looked to be running more comfortable and strong, which everyone agreed… even if my time didn’t reflect it. The run was pretty flat (I would say pan flat if it wasn’t an Ironman, but in an Ironman even a speed bump is considered a hill to me), it had pretty parts, and some shaded parts. It was incredibly well supported with spectators and food stops, which offered some rather strange things like hot soup, and amazing things like ice to put in my cap! The run was also incredibly painful… I suffered from my first step… my legs were with me but the rest of my body wasn’t coping too well. 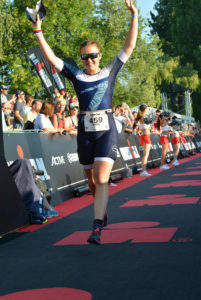 It was a four loop course and as always, it was absolutely amazing to see that red carpet and hear your name be shouted with those magic words… “YOU ARE AN IRONMAN“. 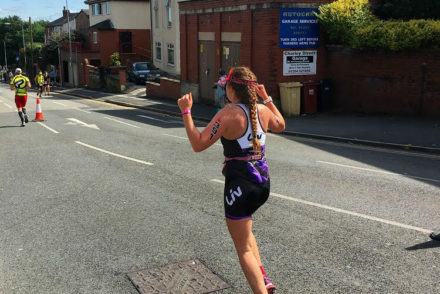 It wasn’t my strongest performance, but it was all I had on the day and I’m proud to have battled through with a respectable time, a 4th place finish and a third Ironman under my belt.